Amazon’s Prime Day 2017 is still a week away, but the retail giant is already heavily promoting voice shopping through Alexa-enabled devices. Amazon is having a 24-hour flash sale on refurbished Echo Dots, slashing the price from $44.99 to $29.99 – the lowest price the Dot has been since its launch in 2016. This is the second year that Amazon is offering exclusive voice shopping deals for consumers who order through their Alexa-enabled devices. The catch? Consumers have to use one of its own devices to get the special deals. These promotions will not even be available on the Alexa app. An Amazon speaker is required. Prime Day is Amazon’s biggest sale of the year, even more so than Black Friday, and it looks like the retail giant is using it as a marketing tool to push its own devices. By offering steep discounts for voice shoppers, Amazon is giving consumers great incentive to purchase one of their own devices. For instance, ahead of Prime Day, consumers can save $20 on an Amazon Prime membership when they order through an Amazon smart speaker. First-time voice shoppers can also receive a $10 on their Amazon account by taking advantage of any current voice deal by July 9. 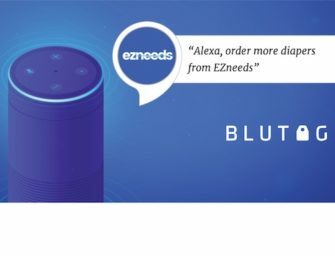 Those savings alone equal the price of one Amazon Echo Dot at its flash-sale price. According to Edison Research, Amazon already has 82% of the smart speaker market share. The company intends to keep it that way by using Prime Day as an Alexa marketing campaign.